The Porsche 911 is THE most recognizable sports car in the world, and deservedly so. The Porsche 959 and the awe-inspiring 911 Turbo S, shown above, are two of the fastest production cars in the world, going from 0 to 60 in sub-4 seconds. To give an example, the 911 Turbo S will finish roughly 2.5 seconds faster through the quarter-mile than a Lamboghini Diablo, which is an eternity in the sports car time. 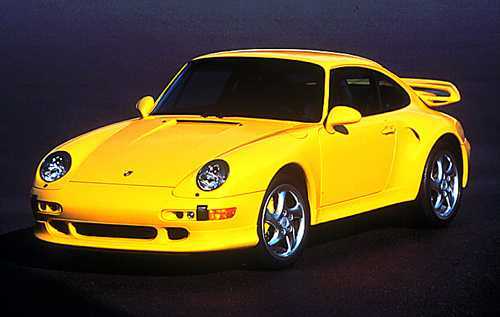 The Ruf CTR2 is one of the fastest street production car in the world, only fractions of a second slower than the McLaren F1. The specs on this engineering marvel is just amazing. It has a top speed of 220 mph, and a scorching 0-60 time of 3.6 seconds. And the beauty of this machine... kinda brings a tear to your eyes doesn't it? 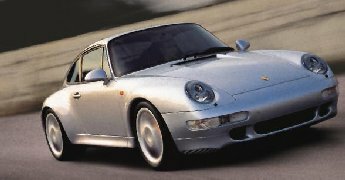 The 959 does not meet the US street legal specification, and Porsche has refused to modify it to meet some bureaucrat's demands. As a result, we don't get to see any 959s being driven around. Word is that Bill Gates and Jerry Seinfeld both own one, sitting on a dock somewhere. The 911 Carrera 4S is a new addition to my page, and I get to see this beauty everyday in the parking lot. 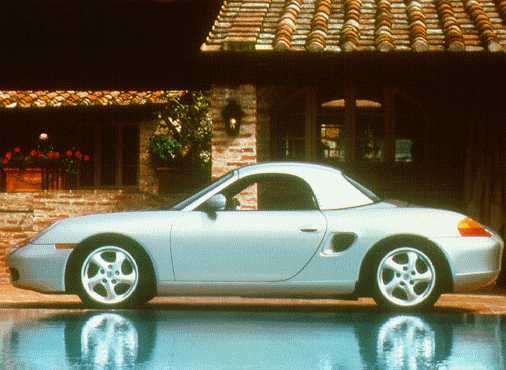 As for the new Boxster, what can I say... It's a beautiful addition to the Porsche stable of stallions, and in my opinion easily the best of the new roadsters when compared to the MB SLK and the BMW Z3. A definite Porsche Lover's web site.